This is a luxury velvet fabric perfect for upholstery for high finish furniture requiring a heavy..
A screen printed on a cotton slub (the cloth has a linen appearance) duck; this medium weight fabric.. This great designer indoor fabric is perfect for indoor living areas. Ideal screen printed fabric f.. This fabric is a great indoor home decor fabric featuring a design of vertical scribble lines in a single colour. Suitability includes: Soft furnishings - cushion covers and slip covers, curtains and window finishes, bedroom linen and manchester, table top applications - placemats, table cloths and table runners, fashion accessories - carry, make up bags, laundry and travel bags, and upholstery - light/medium indoor settings, furniture and other home decor. Care Guide: Cold water and mild soap, Air dry. Fabric can take 7 - 15 working days to arrive. 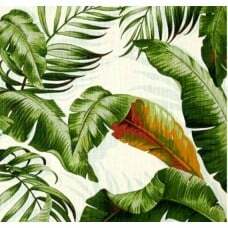 This fabric is a high quality indoor home decor fabric featuring silhouette feathers placed side by .. 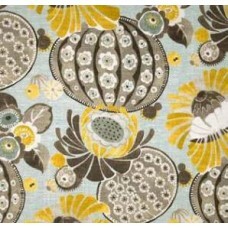 This fabric is a beautiful vintage motif resembling a decorative tile. Fresh and stylish. High..